Decided I would do some cute little boxes to sit around that could double as storage. I have several recipe boxes from Close To My Heart. 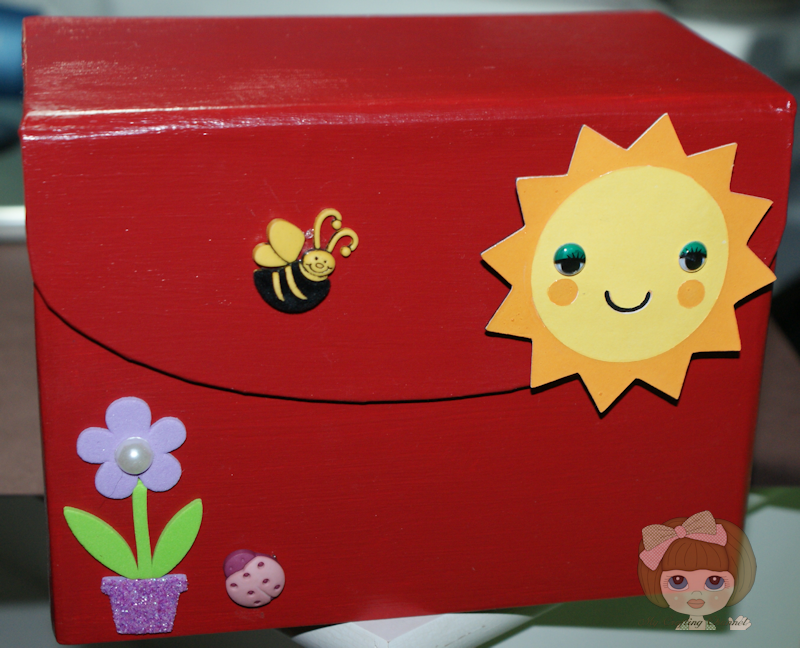 Here is the box I painted and decorated for my Action Wobbles. The sun is on a wobble. A video showing the sun in action. Excuse the quality of video. Main camera was not charged so I used cell phone. It is VERY dark here today, bad storms. Thanks Heather. I think adding some cute stuff for storage is what I need since my room is not that big. Now, that's thinking outside of the box!!! What a fun idea ! So cute, and great storage idea too! Thanks so much for joining us for this week's Simon Says Stamp and Show Challenge! Thanks. Don;t feel bad mine sat for almost 2 years. Oh this is so cute! I pinned it! Thank you so much and you Pinned it too.. Yeppie. Hi Nana!What a great and a money saver idea! 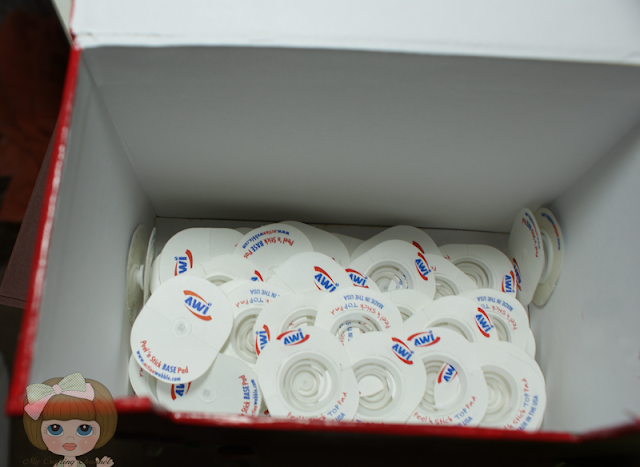 !Mine are still in a plastic bag but I do have a wooden box that I need to alter and use it to store my Wobbles!Thank Nana.Great tip! Thanks. Can't wait to see yours. Thanks. I really need to utilize every each of space. This BEE likes your Bee creation. Thank you and thanks for buzzing by. Thanks sweetie. I love the red too. I painted one wall this color and the other 3 blue. Very cute!! I love your box! Thanks for joining us at HIMCR! Very cute and what a great idea! Thank you so much for joining us this week at FCCB! This is so adorable!! I bet you have the best decorated craft room!! Love it!! So cute! Love this idea on storing Wobbles. Great project. Super cute and a great way to recycle! Who can't use more storage options? Thanks for joining us at FCCB this week! Very cute! Love the accents you used (bee and ladybug). Thanks for sharing with us @ FCCB! Daughter, Sister, Wife, Mother, Nana and Friend. My passions are Quilting, Embroidery, Crocheting, Paper Crafting and Watercolors.